Seeing as tomorrow we will be flying with children to Barcelona it seemed obvious to share with you my 5 top tips for flying with a toddler and a preschooler. 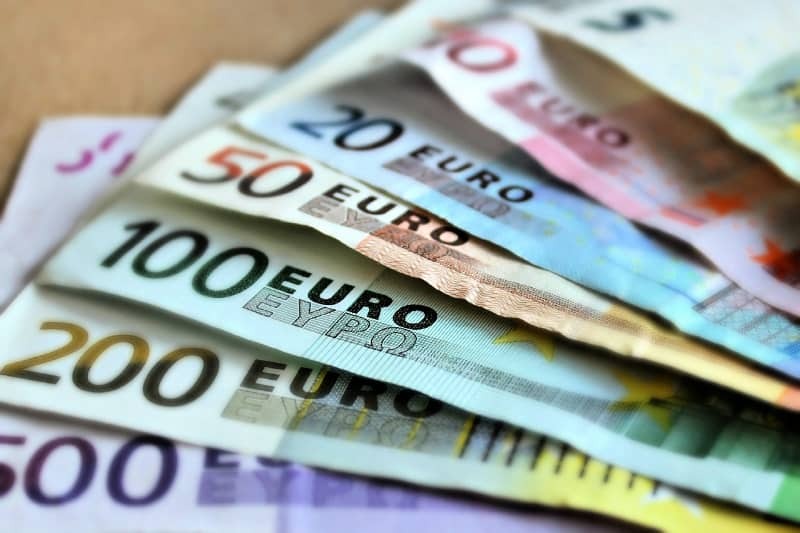 Going on holiday with kids can be an amazing experience, but it can also be quite stressful. 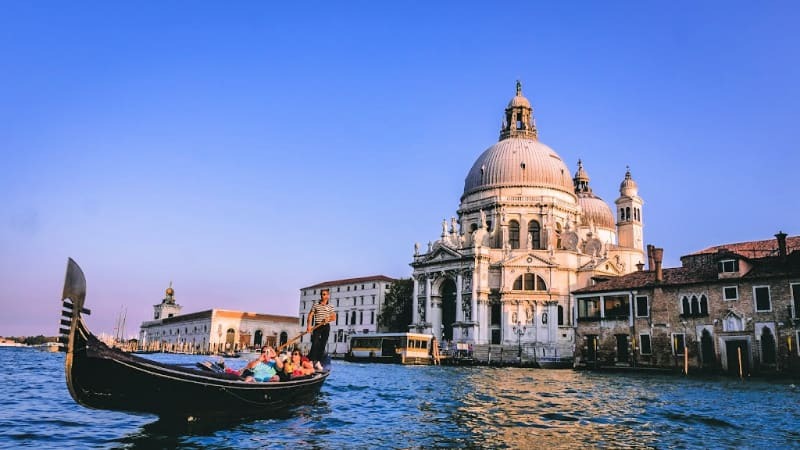 I have spoken to a lot of Mum’s over the years that have worried no end about that first holiday trip with kids, but with some careful planning it can be a breeze for everyone involved in the journey. First off, the biggest bit of advice I can give you is to not make flying with children a big deal. It really doesn’t have to be an issue. It’s just about getting everyone to the airport, which in our case is less than half an hour away. I know this isn’t the case for everyone, but we all take kids in cars everyday to various places over various distances so that’s the easy part. The airport it’s self is great for children. They love watching the planes and in our case they are going to love running around before getting on the plane, hopefully not getting in everyone else’s way! Airports are just one giant playground for children and sometimes they have a play area perfect for toddlers and preschoolers which is worth making the most of. After the children have worn themselves out at the airport, they are going to take a much deserved rest on the airplane. Us parents are going to be due a nice sit down too. Our flight is about 2 hours, which is perfect for flying with children going on their first holiday, but even if you’re going further afield it’s really not anything to worry about as there are often films for entertainment and plenty of room to move around on long haul flights. So now you are thinking, I can do this! 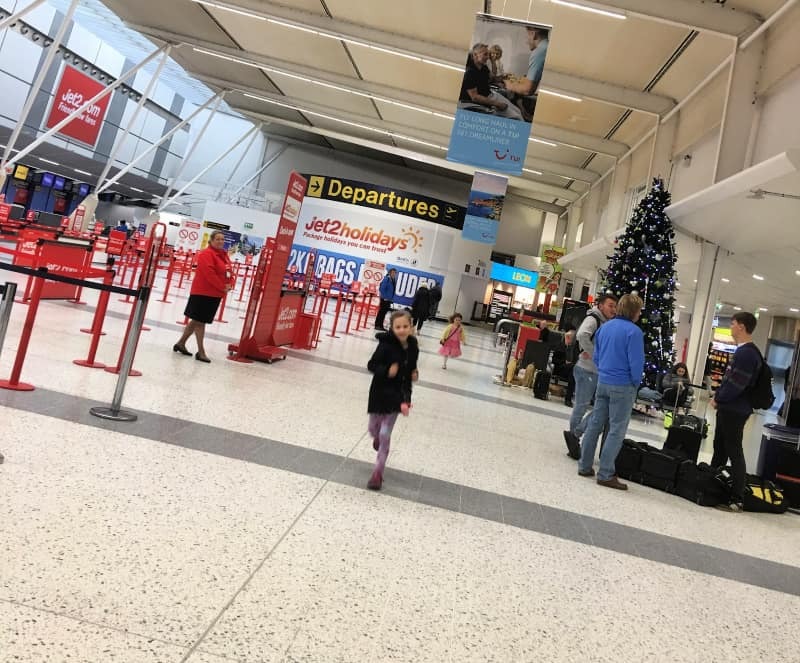 Flying with children isn’t a big deal, here’s my advice for getting everyone to their holiday ready for a fun packed break with the family without the stress. This takes me on nicely to the second point that will make a big difference to your trip. Kids eat a lot throughout a day don’t they? No sooner is breakfast over, than it’s snack time and then it’s always an early lunch isn’t it? Eating is going to feature at least once during your flight and it’s a useful way of killing sometime on the airplane. We will be stocking up with all our favourite snacks like bananas, raisins, biscuits and cheerios to keep them going for the flight. Small finger foods are great as they take longer to eat! Drinks are also really important for children on flights, not just because they get thirsty but they can really help with that ear popping at take off and landing. However your child or baby has their drink have it to hand for this part of the journey. It will distract them from the uncomfortable sensation and also help relieve it. My 3 year old is going to be able to take on her own hand luggage this trip so that is going to be perfect for taking some toys and activities to keep her and her 17 month old sister busy for the flight. They love books, and both have favourite cuddly toys they will want to have for the flight. I will also pop to the pound shop to see if their are any sticker books for them and they often have mini drawing boards that are really handy for flying with children. Being organised is probably the biggest part of taking children on holiday without any fuss. I write lists for what I need to pack and what I will need on the plane so that I have everything to hand that I need for the children. For the flight I make sure their are nappies, wipes, changes of clothes, drinks, snacks as well as all the travel documents and passports. Everything else can go in the luggage. Try to resist the urge to take everything, the kitchen sink just will not fit in your baggage allowance. Too many times I’ve gone on holiday, and not used half the stuff I’ve taken so really keep packing to those holiday essentials so you’ve got less stuff to carry. It will make for an easier trip for everyone. 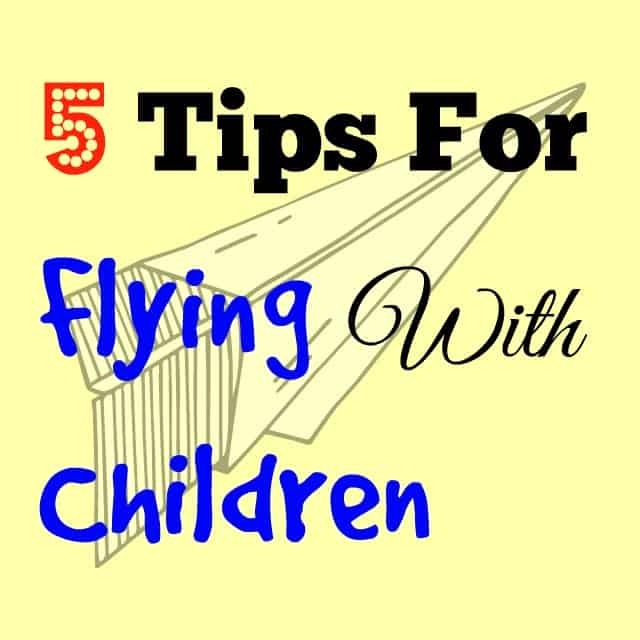 If you found these tips for flying with children helpful, please do share them with your followers so that more people can enjoy a stress free holiday with kids. I am far too scared to travel by airplane with my girls. Thanks for the tips. Have a wonderful holiday. I think your first comment is very important – flying with children isn’t a big deal. All you have to do is be organised, ensure you have enough snacks, toys and books to keep them occupied and try to relax. If you are stressed they will pick up on it! Enjoy Barcelona, I have always wanted to go there.